1. education: the proposed arboretum of TDEF species is the first of its kind in Tamil Nadu (and perhaps in a wider region) where people (students, farmers, tourists, ecologists and forest officials) can see full-grown trees of a wide variety that are useful for daily life (timber, medicine, food, forage), that are native to the place and part of an important ecosystem. The arboretum is en route to Kodaikanal, a hill station that is frequented by about 2.000.000 people annually, many of whom are students from Indian schools and colleges. 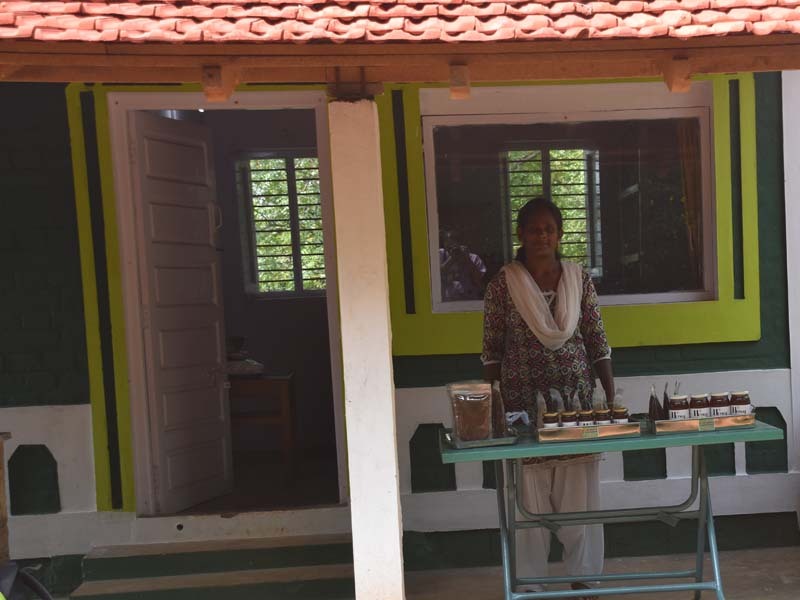 Some of these schools do visit the PHCC nurseries for their study programmes; neighbouring farmers also visit for available plants to enrich their farms. The education programme will be of a multi-media kind and explain each tree in detail: seed collection, planting, etc., as well as the uses of each tree, their spread and distribution in the world, their role in the ecosystem, and their roles in our lives (food, medicine, articles of utility, etc.) This kind of documentation will be an ongoing process with the help of students and other volunteers who are botanically inclined. The education program is aimed to raise levels of awareness about the ecosystem as a whole and promote conservation of tropical forests. The website will advertise the arboretum and invite interns/researchers to stay and contribute with their work. Farmers will have a practical knowledge of the trees by seeing them in the arboretum, with descriptions about their timber and other uses and will be encourage to plant them in their lands. India, importing about 70% of it’s timber from Malaysia and Indonesia, has a large footprint on the timber market in the region. Along with the arboretum, the space will also be utilized for cultivation native honey bees (Apis cerana) that can not only be a pollinating agent but also provide honey for sale in an outlet to be established at a later stage. The bee-boxes will be an added education component for the students and other visitors to the centre. 2. the second goal of the arboretum will be as a seed collection centre. There are about 50-60 seed yielding trees in the arboretum, many of them rare and which can be collected and raised for reforestation programmes in the country. 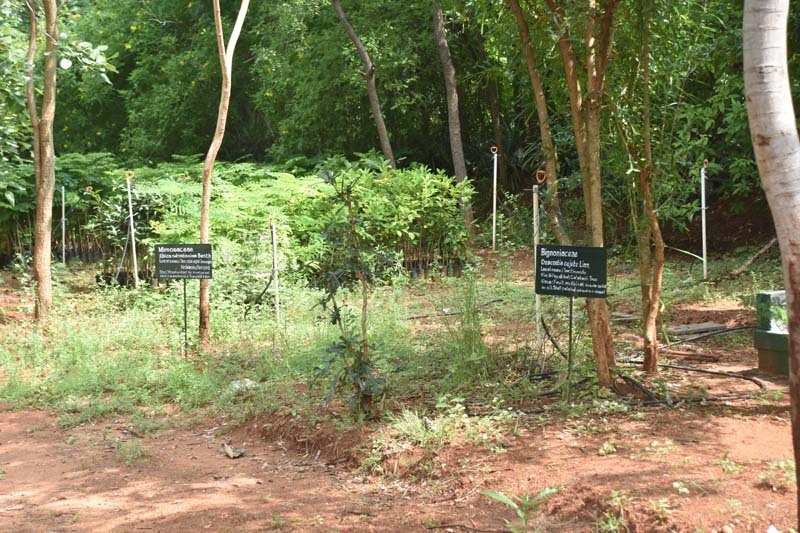 Over the past decade or more the PHCC has been supplying plants for reforestation within and outside Tamil Nadu. This activity has not been pursued to its full potential due to the need to source seeds from many different places. With the arboretum now in a mature state it is now possible to maintain it sufficiently not only for the PHCC seed collection but also to other institution that may require seeds for their nurseries. One of the major impacts of climate change and successive drought years falls on seeds and seed quality. By maintaining an arboretum (watering, mulching, shading, etc.) and appropriate pruning when necessary, it is expected that seed availability at least in this modest place will remain unaffected. The problem at present is a lack of awareness of tropical dry evergreen ecosystems and their role in the larger ecology: the issues pertaining to that will be explained through visual media as well as through direct experience in the arboretum to the visitors. Seed collection will be focused within a specific zone of 20 acres (the arboretum) and thereby make it more efficient. Seeds will be provided to other nurseries that require them and also used for the PHCC nurseries to raise plants (that are native to the region) for reforestation and to distribute to the local farmers who may need them.